Nuance in fiction is one of the most difficult storytelling techniques to master. Rather than telegraph the direction of the story, a nuanced story uses subtle hints and finely crafted metaphors and similes to build tension, express character motivation, and evoke emotion. Nuanced fiction is often called, “quiet,” “wondrous,” “thoughtful” and always referred to with reverence. On Wednesday, we’ll discuss the power of nuance in great storytelling. 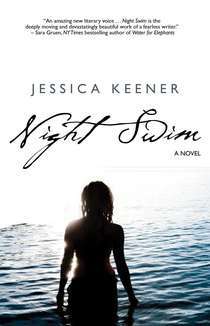 Joining us as guest host on Friday is Jessica Keener, whose debut novel, Night Swim (Fiction Studio Books), is an artfully nuanced novel with broad appeal. Every sentence of Night Swim sings with lyrical eloquence, while delivering a fully-realized story that will haunt you long after you’ve turned the last page. With grace and compassion, Keener takes us back to Boston during the early 1970s. When maternal love is silenced at the untimely death of her mother, 16-year-old Sarah Kunitz finds her own voice through choices both sweet and sorrowful. Keener’s lyrical prose sweeps you into the story and onto a stage where Sarah’s here and now meet her yesterday for a flawless finish. Keener wrote her first “book” when she was eight years old, stitching construction paper together with yarn, a holiday gift to her parents. As a child, she read and reread Andersen’s and Grimm’s fairy tales, biographies of famous people, mysteries, and animal stories such as Charlotte’s Web and The Yearling, which caused her to sob with bodily abandonment. She wrote poetry in high school and college. After getting a Master’s degree in creative writing from Brown University, she began publishing short stories in literary magazines. Keener’s fiction has been listed in The Pushcart Prize under “Outstanding Writers.” Writing awards include a grant from the Massachusetts Cultural Council Artist’s Grant Program, a Joan Jakobson Scholarship from Wesleyan Writers Conference; a Chekhov Prize for Excellence in Fiction by the editors of Wilderness House Literary Review; and second prize in Redbook magazine’s fiction contest. 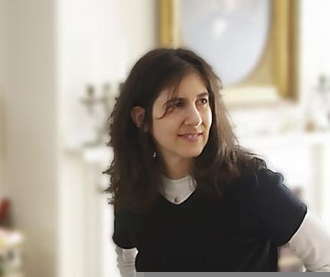 For more than a dozen years she’s also been a features writer for The Boston Globe, Design New England, O, the Oprah Magazine and other national magazines. In 2001, she published a business memoir, Time to Make the Donuts, with the founder of Dunkin’ Donuts. Follow Jessica Keener on Twitter: @JessicaKeener1.